It is widely known that most of today’s guitar-based music and distortion has its origin in blues. Since the early 20th century – and until today – the genre has continued to evolve. 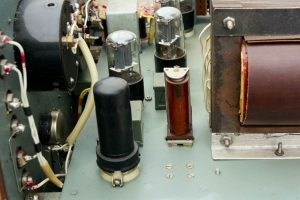 Prior to producing the emotional solos and electrified blues of today, guitar-based music, with the use of primitive tube amps, were literally breaking up and distorting. In no time, blues guitarists came to appreciate those awful yet magnificent sounds and tones; and they tried to replicate them by any possible means. The continued evolution of blues music and instruments led to the development of the overdrive pedal. Designed as an improvement on the delivery of the amp, the best blues pedals allow guitarists to produce sustained and compelling crunch, adding grit to signals at any volume level. This gives players the bite and balls needed for genuine blues tones. However, low quality overdrive pedals produce a “pushed” clean tone that may be stretched to a crunch. This is an important factor when guitarists are looking for the ideal overdrive pedal, as many prefer one that is reactive to different playing dynamics and can clean up while the volume control of the guitar is lowered. With a massive amount of overdrive pedals in the market, selecting the perfect one may present a tricky prospect. After so much research, however, this guide has been designed to make your decision easier. We’ve read through hundreds of reviews to ensure you get the best overdrive pedal for your blues needs. Like picking your favorite dress from your wardrobe or your all-time best ice-cream flavor, selecting the best overdrive pedal is subjective. However, there’s a lot you should know about the effects they produce, so you’ll want to be sure of the basics before buying an overdrive pedal. Since overdrive pedals are designed as tools for music, sound is a major priority. While all overdrive pedals typically perform the same function, different factors such as designs and manufacturing processes will lead to variations in the end result. A good overdrive pedal should minimize noise feedbacks, operating smoothly without producing other sounds that what is expected of it. Overdrive pedals are available in a variety of colors and shapes. The design of a pedal matters especially if it will be used for a performance. The size of the overdrive pedal is another important design consideration. It is ideal that you look for a low placement of the overdrive pedal to ensure it does not tilt and fits your physique and playing stance. The pedal board is also available in different designs – you would want to buy a pedal that seamlessly complements your preferred music genre. Overdrive pedals, on their own, are suitable for most guitar styles that do not require stacks of saturated gain and are normally into a clean tone. Classic rock, funk, blues, and country music are all perfect settings for employing a cool overdrive pedal as a part of your rig system. Some guitarists even prefer multiple overdrive pedals on their board in order to produce discrete crunch tones for a wide range of song types, and not just the singular sound of one pedal. Guitarists that play punk, harder rock, and metals will typically use overdrive pedals to provide an additional layer of gain-staging effects and boost to an amp that is already getting distorted through its master volume circuits and preamp. When playing at a high volume level, this gain effect can make your amp feel like a screaming demon and may require a noise gate pedal to neutralize any feedback when you are not playing. The operation and handling of overdrive pedals can vary in complexity. Some require lots of tweaking to get the perfect setting, others can allow you customize the tone and volume setting, featuring control switches for high or low sound effects. Classic overdrive pedals generally emphasize mid-range sound output, while more recent pedal models gives a guitarist more control over the sound output using the settings and EQ buttons for the gain effect. Take note, however, that the number of knobs on an overdrive pedal does not determine its worth. What really matters is how much control you need for the music. If you are looking to simply stack on another pedal or crank up the amp, you would not need many adjustment options for your overdrive pedal. The sole function of the bypass circuit is to channel the signal through the overdrive pedal whether the effect is turned on or off. This can spell the difference between a good and bad pedal. 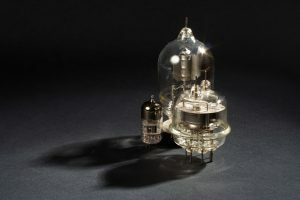 A bypass circuit of high quality will produce a rich and clear effect while a low quality one will produce muddled sounds. Bypass circuits are generally of two types: buffered bypass and true bypass. Buffered bypass channels signals through the main circuit, even when the effect is turned off. It also makes up for lost volume by increasing the signal. 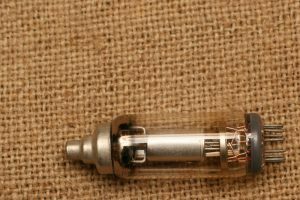 True bypass, on the other hand, produces a cleaner sound since it features a short and straight circuit that does not alter the sound output. However, true bypass loses some of the sound intensity due to its short and straight nature. 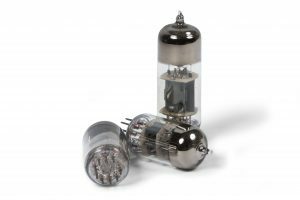 So which bypass circuit is better? Preference and usage are two major factors that affect buying considerations when it comes to deciding between the two bypass circuits. True bypass is a more popular option today because it prevents the addition of unnecessary sounds in the effects. For Rhythm guitarists like Rich Robinson the Black Crowes groove merchant, overdrive pedals will be typically used at low or medium gain settings as a kind of ‘set-and-forget’ crunch. 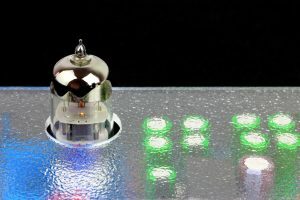 This will ensure good interaction with the volume knob of your guitar, allowing a guitarist use the knob to produce a cleaner or dirtier sound with a simple up or down twist. 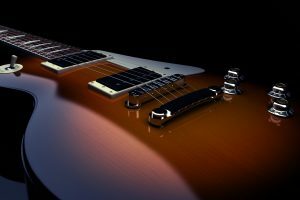 With this method, dialing up modern country tones and even ‘50s blues will be a breeze, and you will be better able to produce an organic and satisfying sound. If you are more of a lead player, you’ll likely use an overdrive pedal to gain some kind of boost, whether for a medium gain tone or to push through a cliff into a higher gain rhythmic sound for soloing. In this case, you will be required to use most or all of the gain effect your overdrive pedal has on tap. The goal here is to hit the front end of your amp as hard as you can, yet maintain control of its speaker volume. Like every accessory in the market today, overdrive pedals are available in different price points. It is ideal, however, that you strike a balance between your budget and your needs to find the perfect pedal model. For instance, overdrive pedals in metal casings are often more expensive than those in plastic casings, but they are more durable in the long run. Pedals in metal casings will make more sense if you will be using it a lot. On the other hand, if you are a casual user, the less expensive models will work just fine. An overdrive pedal boosts the overall volume, signal, and output from your amplifier. 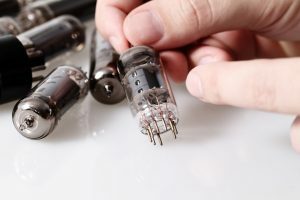 That is why they are a popular choice for playing leads, as they help solos cut through a mix when cutting takes in the studio or while playing live. Overdrive pedals can be used to complement the distortion channel of your amp. 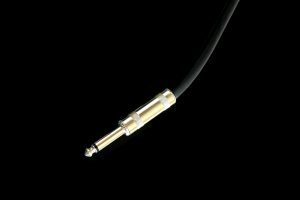 This method is popular among metal players who like to “tighten” up their sound output in order to give it more focus. Guitarists typically set the volume low and the pedal up with the drive, to ensure only slight addition of gain effect without losing control. This method introduces more sustain and saturation, meaning it is also perfect for leads as well as chunky rhythmic tones. So you are in the market for the best overdrive pedal that will produce great sounds, no matter how dirty or clean you desire. Or perhaps you are looking for one that offers a bit of both worlds? 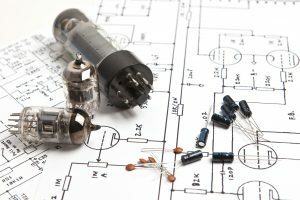 With the tips above and selection of the best overdrive pedals in the market, this article has been designed to give you all of the information you need to ensure you make an informed decision. The TC Electronic MojoMojo Overdrive pedal offers a perfect combination of nature and dynamic effects. From screaming solos to chucky crunch and bluesy breakup, the MojoMojo pedal offers an extensive range of overdrive sound output. Featuring 4 controls and a distinct voicing switch in one small package. In addition to the volume control, treble control, and standard drive, the pedal features a bass control and a unique voice switch designed to provide a great mid-shift. The versatility of the MojoMojo pedal is one of its best properties. The bass control gives a guitarist so much control over the sound output; when the control is all the way down, it produces a thin-sounding and harsher sound. On the other hand, a warm and thick tone blares through when you turn the bass control up. Amazon reviews for the MojoMojo Overdrive pedal reflects a high level of satisfaction among its many users. Of the 157 customer reviews, 69 percent left 5 star feedbacks, with one such buyer describing the product as a “pretty darn good overdrive”. The buyer who already has a distortion pedal was looking to purchase an overdrive pedal that gives the amp a “little edge” – and the MojoMojo pedal was exactly what the buyer was looking for. This is an amazing boost overdrive pedal capable of producing super sounds. A great feature of the Electro-Harmonix Soul Food Overdrive Pedal is its boosted power rails, allowing for higher voltage entry into the circuit. This increased voltage is designed to boost your sound output, giving you a nice clean tone or a booming bass with a high gain setting. 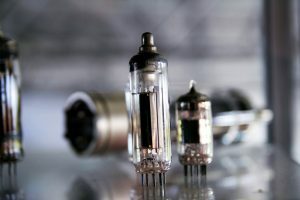 Whether you looking for a clean sounding boost or turning up the pedal for a smooth and crunchy output, you are sure to enjoy a wide range of sounds. The fantastic ratings for the Electro-Harmonix overdrive pedal are proof that it is a favorite for many. The pedal has an average of 4.4 stars out of 188 customer reviews on Amazon, with one elated buyer summing up his/her thoughts saying “can’t recommend it enough… best clean boost I’ve ever used. And CHEAP”. Another happy buyer was particularly excited about its value for money, saying the Electro-Harmonix overdrive pedal is “a very good and absurdly low cost KC type pedal”. Since the release of the TS808 tube, the Ibanez Tube Screamer has been a very popular overdrive pedal. The TS9 Tube Screamer is one of the best imitation classics ever – a reissue that is every bit as great as the original. 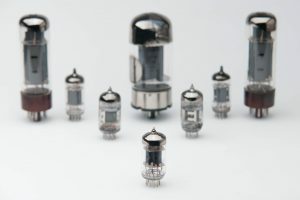 The TS9 Tube Screamer features similar components used in the manufacture of the original model; they are produced in the same factory. The sound output of the TS9 Tube Screamer is everything – and you can customize yours to get the best sound possible. Customer reviews for the TS9 Tube Screamer are just amazing. With a rating of 4.4 out of 5 stars, most of its users were absolutely satisfied. 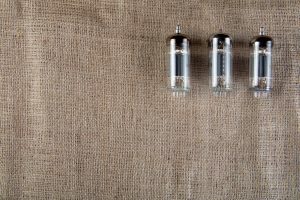 One satisfied buyer says it is a “great alternative to anyone considering a keely modded TS9, or anyone who doesn’t want to commit to a single OD sound in one pedal”. The Boss BD-2 Blues Driver is one of the few mass-produced pedals with lots of fans ranging from country clubbers to garage rockers – and this is for good reason. From the smooth old-school genre to the modern-day biting blues/rock, the Blues Driver does a great job in grinding out amazing tones. It is an easy-to-use pedal that is also pocket-friendly for just about anyone. It is no wonder the Boss BD-2 Blues Driver Pedal is considered the pedal for everyman. Unsurprisingly, the reviews on Amazon tell a good tale of it. Of the 89 customer reviews on the website, 72 percent were absolutely satisfied, leaving 5 star feedbacks. One such buyer who has already used the pedal for over a year felt it was time to leave a feedback. The buyer says: “I purchased the BD-2 with the hope to create a sound that matches my favorite guitarists as well as to allow me to create my own sound”. I was not disappointed”. Ultimately, the buyer feels the Boss BD-2 Blues Driver is worth the price and will be a valuable partner on a pedal board. The DigiTech Screamin’ Blues Overdrive pedal is specifically designed for those looking for a pedal that responds to a variety of playing dynamics. It is especially ideal for blues guitarists as it offers control over their tone. Dialing up the gain setting offers a great sustain and an ultra-rich harmonics. Playing lightly, on the other hand, produces a mild and warm overdrive. The DigiTech Screamin’ Blues Overdrive pedal is incredibly easy to use and offers guitarists a reliable onstage performance. With its dual outputs and cabinet emulation, the pedal allows a player additional sound-adjusting abilities. So there you go – the list of the top 5 rated best overdrive pedals for blues. The pedals in the list above are but a few options available in a huge market. However, they promise top quality results and you can gig/record with any of them with absolute confidence. Covering major factors such sound, design, and budget, these overdrive pedals are great options for any guitarist. The TC Electronic MojoMojo Overdrive Pedal stands out for its bass control and versatility – two factors that ensure it produces unique, top quality tone as well as gives you control over its sound output. Amazing pedals they all are. To ensure you work with the best overdrive pedal and find absolute happiness, testing any of the five above may just be ideal. Go out and play – strike your strings as well as you can, hit your overdrive pedal, and catch as much fun as possible. Brilliant fun!